Conservation campaigns love to tell people “every drop counts” (do a quick Google search to see how often this is used). And I agree that each drop should count. But when I turn on my kitchen faucet or garden hose, out flows a seemingly endless supply of fresh, clean, cheap water. The subtexts to the “Every drop counts” approach usually are “save money” or “save the environment.” But even when I had three teenagers who took marathon showers, the water bill was the least of my worries (far behind “will they come home alive tonight” and “if they do, will there be hospital bills involved”). And although I did try several interventions (using a timer, turning off the hot water, and – the most effective – letting siblings pound on the door to get in), there are so many other ways I show my commitment to the environment that this one was easy to let slide. When the City of Santa Monica asked Marketing for Change to help them achieve an across-the-board 20% reduction in water use both this year and next, we wanted to find out what would make every drop count for community residents. So we put our matrix of Fourteen Determinants to work. Turned out our marketing sweet spot was community norms, with a dose of efficacy thrown in. And when the campaign kicked off in May, we ended up telling people to spend money rather than save it. Santa Monica is a wealthy city that has long been a leader in sustainability. Residents are proud of the good life they have achieved for themselves, the beautiful community they live in, and their city’s forward-thinking green initiatives. Our campaign builds on that pride. 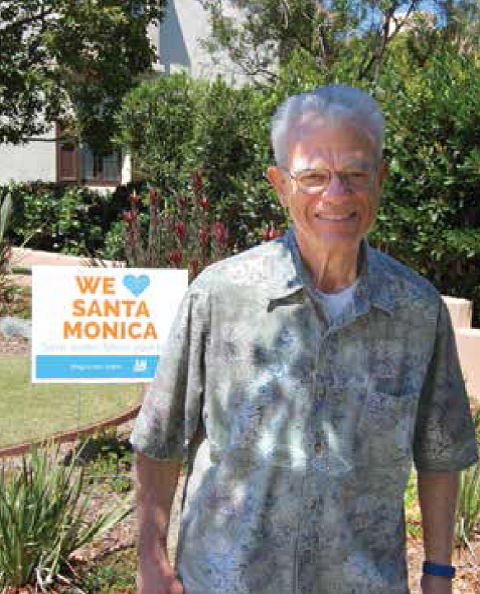 Rather than asking people to sacrifice their lifestyle with 5-minute showers and double-duty dishwater, we asked residents to show their love for Santa Monica by investing in changes to their homes and businesses that result in big water savings. We also used a humorous campaign to highlight city resources that make these changes easy to do. 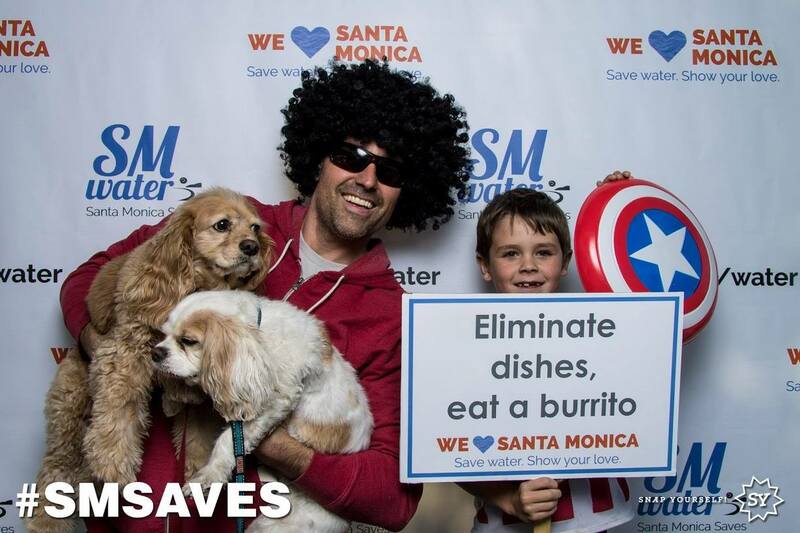 We’re happy to report that just a few months into the campaign, long before mandatory water penalties kick in this fall, Santa Monica already has achieved its Year One reduction goal – and is moving on to the next. We’re proud that our marketing campaign played a part in their comprehensive effort. We’re also excited that when teens everywhere go through their endless shower phase (which, to be honest, is a relief after the tween no-shower phase) parents can now seize the moment to teach kids how to do their own laundry. Save water. Eat a burrito. Yard signs tout showing your SM love through saving water.